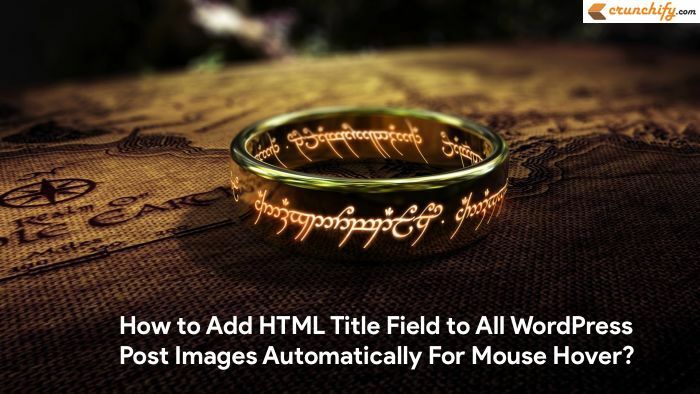 How to Add HTML Title Attribute to All WordPress Images Automatically For Mouse Hover Tooltip? As you may have noticed or may be missed but WordPress currently doesn’t add Title attribute to any post images. Title attributes mainly use for mouse hover Tooltip which greatly improves readability for readers. Not everyone loves Tooltip as many users don’t care about providing title and keep some random text for image title which may not be useful. In this tutorial we will go over WordPress hook to add Title Attribute automatically for all WordPress images. Please take a look at below HTML screenshot first. Just simply pool below code to your WordPress theme’s functions.php file. And you are all set. Now onwards when you add an image to post you will see title attributes will be added automatically as you see in Insert image screen below. 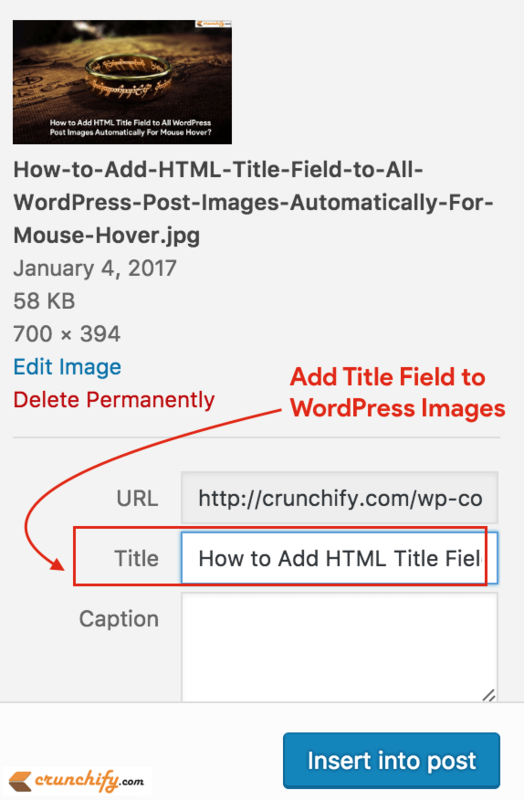 We hope you learn how to add Title attribute to images automatically by applying simple WordPress hook. Note, above tricks will work for all newly added images. I would strongly recommend to add nice title to each images for user’s mouse hover Tooltip. Eventually better organized blog/site will lead you to the success you want one day. in my website, i use visual composer. and in media image, i give title text and alt text, but I go my website home image and I hover image it can’t show a title of image , and when I inspect code there is also it can’t show title tag of image. give me some solution for this. Hi Raj – did you clear your site cache after posting an article? I’m sure, during post writeup while pasting an image if you add Alt and Title data then you should be able to see it while visiting image on mouse hover.